As a CEO of a marketing agency in one of the largest cities in North America, imagine my horror when I realized on a busy weekday morning that I had left my iPhone at home! After pulling over on the road to search my car, “maybe it slid down between the seats,” I thought. I checked my pants,jacket and briefcase several times. Nothing! I headed to the office thinking maybe I left it in the office last night when I left late. As I walked in the office door, one of my colleagues told me my wife had called to say I had indeed left my phone at home. With meetings planned and my daily schedule booked, I knew I was going to spend the entire day disconnected. Could I do it? I actually thought of going back home, but it would have thrown off the timing for my day. This seemed like such a huge decision, but I decided to challenge myself and spend the day without the phone. At first it was extremely difficult. I found myself reaching for the phone every few minutes. It was even more difficult when I left the office for some client meetings, as being in the car without being “plugged in” highlighted my dependence on this device! I didn’t know what emails I was receiving, what my staff was doing, I couldn’t make up time with client calls from the car, and there were no texts or LinkedIn updates! I was in the car thinking about all the things I could be doing but couldn’t. I felt very disconnected. By the afternoon, I was looking forward to getting back to the office to see what I had missed while on my technology vacation. My biggest surprise was that there were no immediate client needs, no burning staff questions… in fact it was business as usual. I had always thought that my iPhone helped me to make up for time I would otherwise not find anywhere else, but the reality was that it wasn’t the device, but instead, my desire to feel like I am connected and am moving things forward. So, on my drive home that night, I did what I haven’t done in a long time, I rolled down the window and played with the air through my fingers as I cranked up the stereo and enjoyed the ride! My challenge to all the other business owners and CEOs out there, is to see if you can last one weekday without your mobile device. Can you do it and if so, what was the most significant thing you noticed? 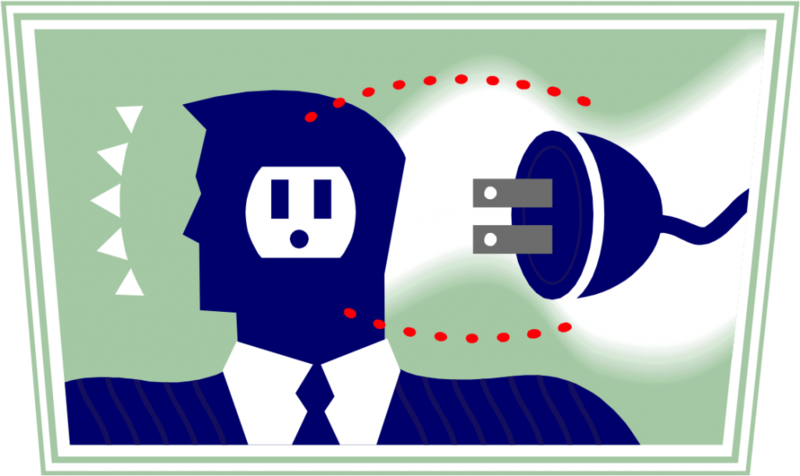 Will this have any impact on how you conduct business when on the road or out of the office? April 22nd is Earth Day, marking the day recognized around the world where events are held in support of environmental protection and promoting awareness for green initiatives. Apple Inc. is often commended for its focus on green initiatives and manufacturing practices, this year making a big PR push on Earth Day to highlight its efforts to help with gadget recycling, to use renewable energy, and generally create an impression that it is the leading eco-friendly tech company*. 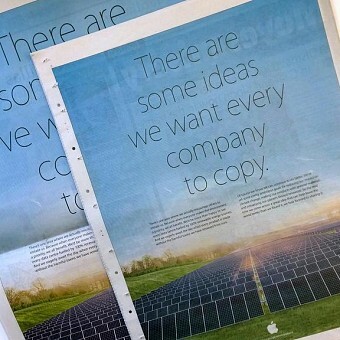 We’re wondering if green is also the colour of revenge today, as Apple launches a full-page newspaper ad “inviting” competitors to adopt their sustainability strategy like they copy Apple’s hardware and software designs. While many companies are considered guilty of infringing on features of Apple devices, this ad is most likely targeted towards Samsung as the month-long patent trial continues between the two companies. With the focus on sustainable practices and making the world a greener place, is Earth Day the right time to release a smear ad on a competitor? Shouldn’t the focus remain on the goal of heightening awareness about the environment? What do you think about Apple’s ad? Timely and appropriate for the day? Or generating unwarranted attention? I look forward to your thoughts below. In the realm of social media, more likes and more followers increases your brand’s recognition, engagement and ultimately sales. So it seems simple that from a strategic view, your social media plan should include ways to increase your fan base and thereby increase leads if not sales. This is straightforward, honest marketing: you try to showcase your activities or your brands offers and uniqueness and in turn you gain fans and followers. Did you know, though, that in an online platform, marketers are able to gain “fake” brand love by buying fans on Facebook, Instagram, YouTube, Google, Pinterest and even Yelp testimonials and LinkedIn contacts – all in the name of increasing the perceived size of their audience? Many have questioned if “buying” these fans effects the bottom line? Do more numbers/fans actually increase ROI? “How can I trust anything online if it is all fake?” Ahhhh yes. 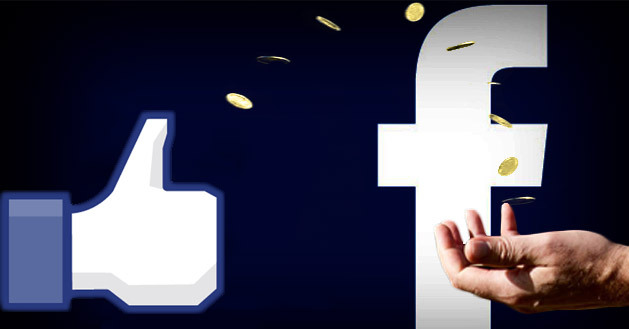 Well the jury is still out as one must question the legitimacy of these “fans” – are they real people, are they bots, are they part of a general conspiracy for Facebook, for example, to look like they have a huge fan base of 85 million when in fact some of these are just “fake profiles”? One large indicator of a Facebook page with purchased fans is to look at engagement. If for example they have 5,000 fans and the engagement (shares, comments and likes) on any one post is 14 people then I might question the legitimacy of their followship. As a marketer dealing with smaller brands, social media is not so much about the size of the numbers as it is about the engagement and lead opportunities. If buying fans can lead to your ultimate goal, then perhaps it is something worth considering. Do your homework though as there are literally hundreds of “agencies” selling fans – make sure yours are legitimate or you could do major damage to your brand. The bottom line remains that you really can’t “spam your way” to Facebook brand love or Google review love. Either you have a genuine brand and a genuine approach to the market… or you don’t. If you don’t, you can’t buy customer/client love- it’s really that simple. So if you buy fake profiles it won’t make your brand any more loved, as the people don’t exist to engage with your brand and fake people don’t buy products or services. Would you ever consider buying social media fans? Would an increased number of fans outweigh actual engagement on your social media sites? I look forward to your thoughts below. Spring is here (so they say) which means only one thing. Everyone knows the kind of consumer who is in love with their preferred brand. The folks who won’t drink any coffee if it’s not Starbucks or eat ketchup if it’s not Heinz. For many of us, our favourite products and services have become habits ingrained in their daily life, rather than mere brands. Brands like Starbucks, Heinz, and let’s not forget Apple, have charmed their way into people’s hearts, so what is their secret? How, exactly, do you make your customers fall in love with your brand? The following infographic will give you some insight into how this relationship is built between businesses and consumers, and some of the traits truly speak to how you treat that special someone in your personal life, in terms of listening, going the extra mile and open communication. Did anything surprise you about the statistics you read above? How can you include emotional content in your brand? I look forward to your comments below! Fooled Ya! Or Did We…? How many do you think you got right? The answer is they are all real advertisements. The most concerning issue was there were so many to choose from when writing this blog, that I had a hard time deciding which ones to show you! So it’s not difficult to understand why advertising and in turn, marketing, have such a bad reputation for misleading the customer. It is worth noting that many different cultures have had days of foolishness around the start of April, give or take a couple of weeks. The Romans had a festival named Hilaria on March 25th, rejoicing in the resurrection of Attis. The Hindu calendar has Holi, and the Jewish calendar has Purim. Perhaps there’s something about the time of year, with its turn from winter to spring, which lends itself to lighthearted celebrations! I look forward to hearing how you fared in the above true and false and if you feel these types of ads are detrimental to the overall advertising reputation. How will the industry ever become legitimate when agencies around the world continue to produce ads like these? Please share you comments below.